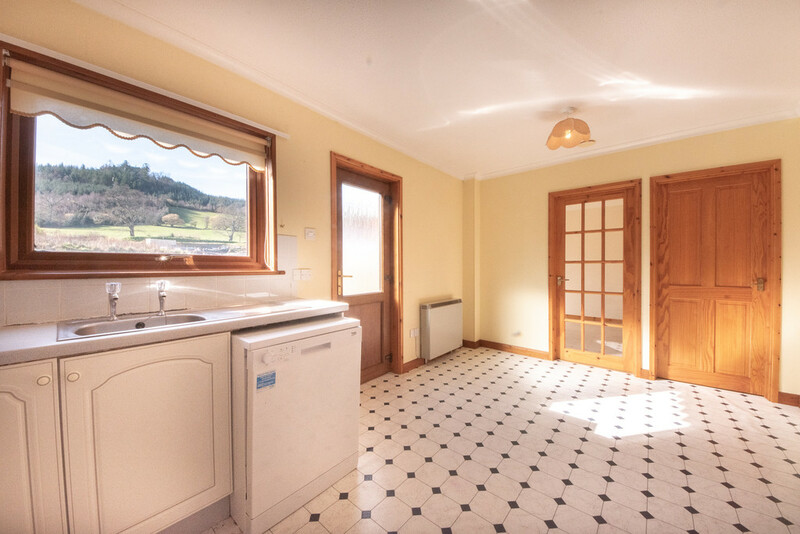 In the friendly village of Llanilar, Cwrt Y Cadno benefis from three double bedrooms, a dining room, its own parking and garden space. Adding to the appeal it is situated near the local primary school, doctor surgery, local primary school, pub and is on a bus route. Why not come see for yourself? 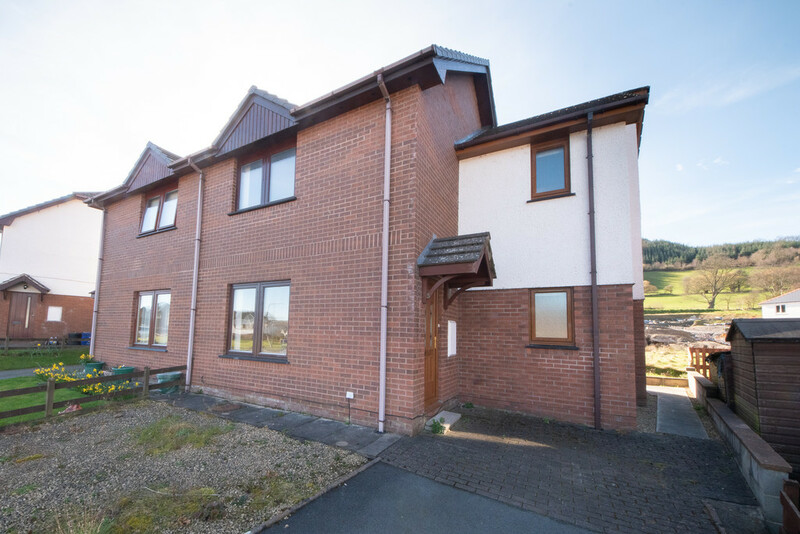 CWRT Y CADNO Close to conveniences and to the local primary school, this three bedroom house would make the perfect family home, or potentially a great professional let. 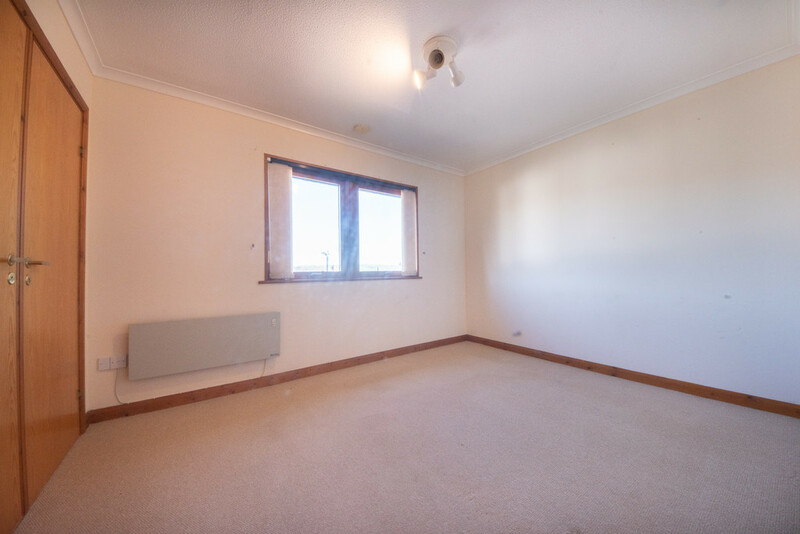 Unless expressly stated all rooms have a range of power points, double glazed windows and electric storage heaters. 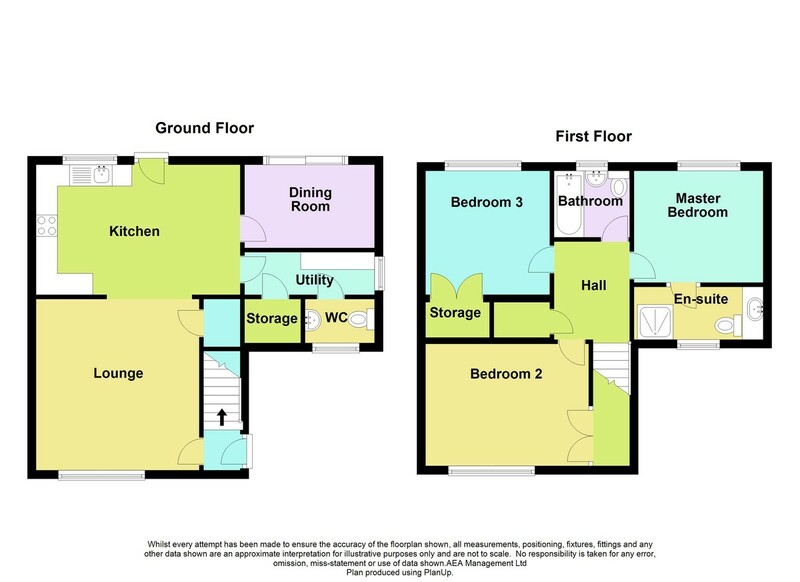 PROPERTY COMPRISES Property is entered via uPVC door into the entrance hallway, which has stairs leading to the first floor and a communicating door to the living room. 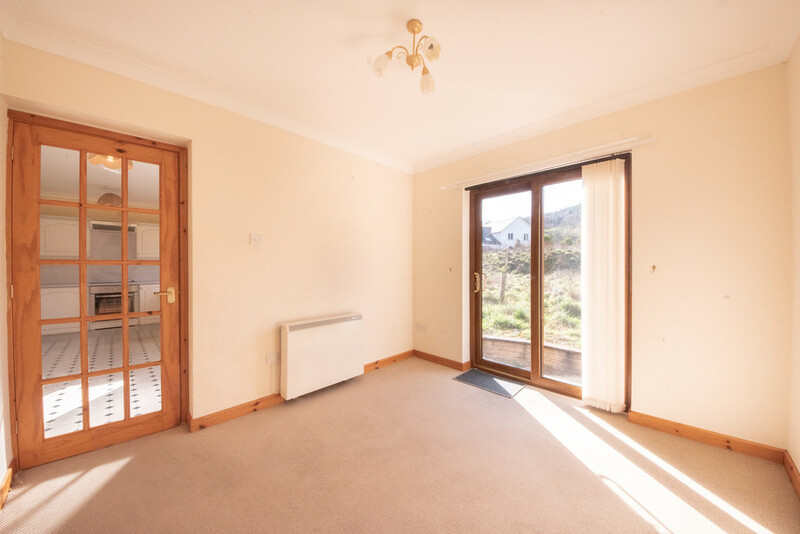 LOUNGE 12′ 6" x 12′ 9" (3.82m x 3.90m) With a large window overlooking the street at the front of the house, this cosy family lounge has been neutrally painted and benefits from a communicating archway that leads into the Kitchen, making it a space that lends well to entertaining. 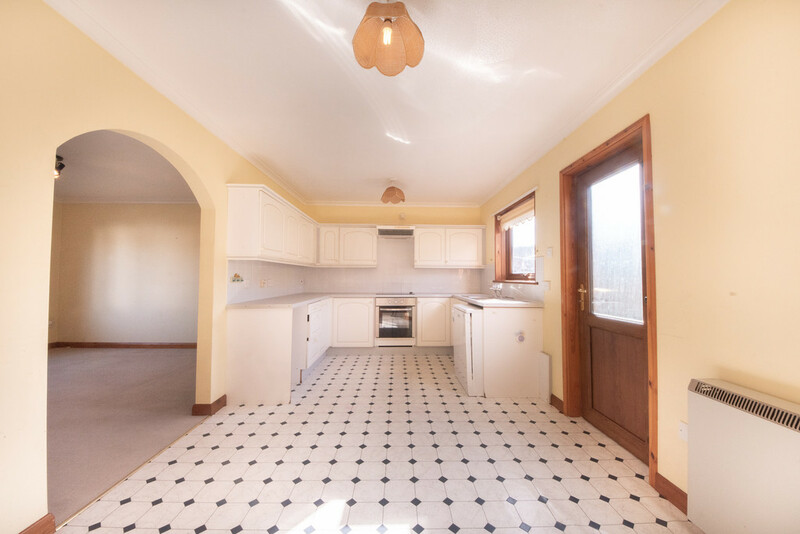 KITCHEN/DINER 15′ 8" x 9′ 11" (4.78m x 3.04m) This spacious Kitchen/ Diner space is flooded with light from a wide window, overlooking the garden, and a double glazed glass casement door. The doorways, window frames and skirting board have all been finished with a dark warm stain to the wood work, adding a more traditional charm to this well-maintained modern build. 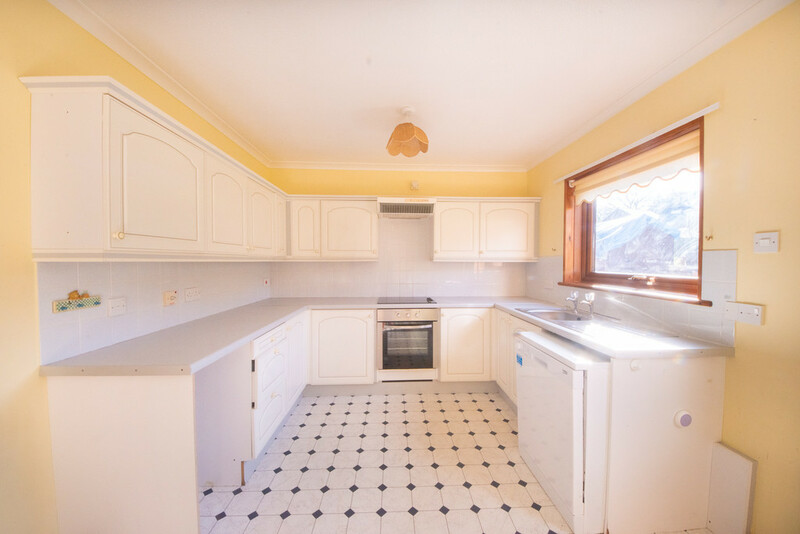 Fitted with a range of white base and eye-level units with roll-top work surface, the kitchen boasts space and plumbing for a dishwasher, and features a single bowl , single drainer, stainless steel sink, complete with single h/c taps. Currently in place for cooking is an integrated 4 burner electric hob, with an oven below, and a hood extractor above. For practicality, both the floor and water sensitive areas have been tiled. 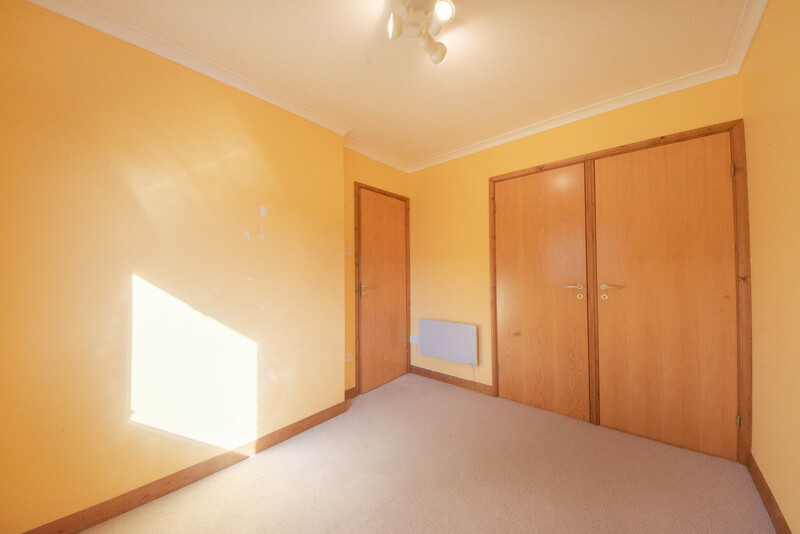 From this room there are communicating doors to the playroom and utility room. 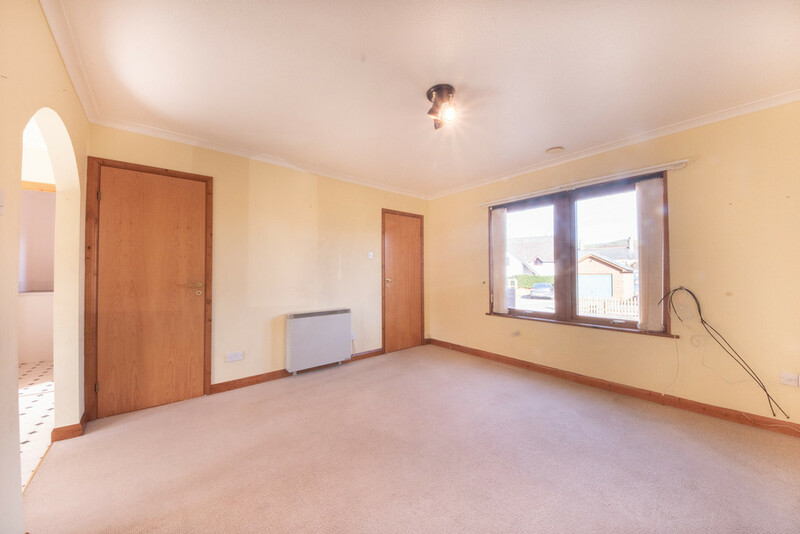 DINING ROOM 9′ 8" x 10′ 4" (2.96m x 3.16m) Currently employed as a playroom, this light and spacious room has access to the garden through double glazed sliding doors. 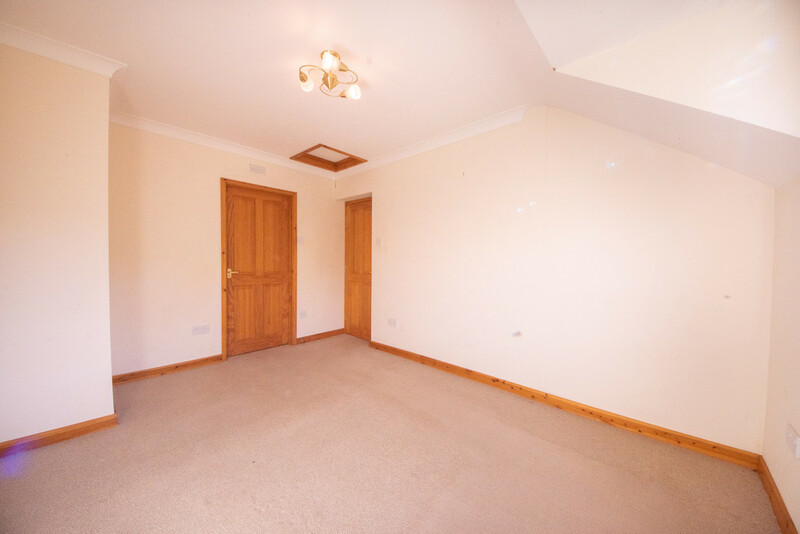 Well-proportioned, this room could easily be made back into a dining room or utilised as an office or downstairs bedroom. UTILITY ROOM 7′ 10" x 5′ 1" (2.40m x 1.56m) A fair sized utility room has space and plumbing for a washing machine/dryer, and currently houses the freezer. From this room there are communicating doors to the storage cupboard and downstairs WC. WC 4′ 7" x 2′ 7" (1.42m x 0.80m) This downstairs powder room comprises of a white low-flush WC and pedestal wash basin sink. STORAGE Next to the utility room and downstairs WC, this room is perfect for storage. UPSTAIRS STORAGE Another good sized storage room, with close proximity to the bathroom, this would make a perfect home for towels and bed linens. MASTER BEDROOM 9′ 8" x 13′ 6" (2.97m x 4.12m) A good spacious room, with a window overlooking the rear of the property, inviting rural views, the master bedroom boasts its own en-suite through a natural wood finished communicating door. 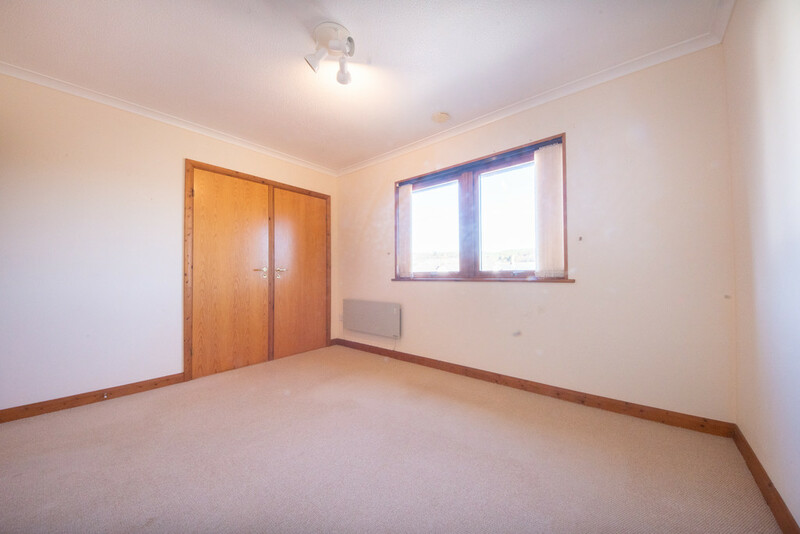 Fully carpeted, this room benefits from a range of plug points and electric storage heaters. 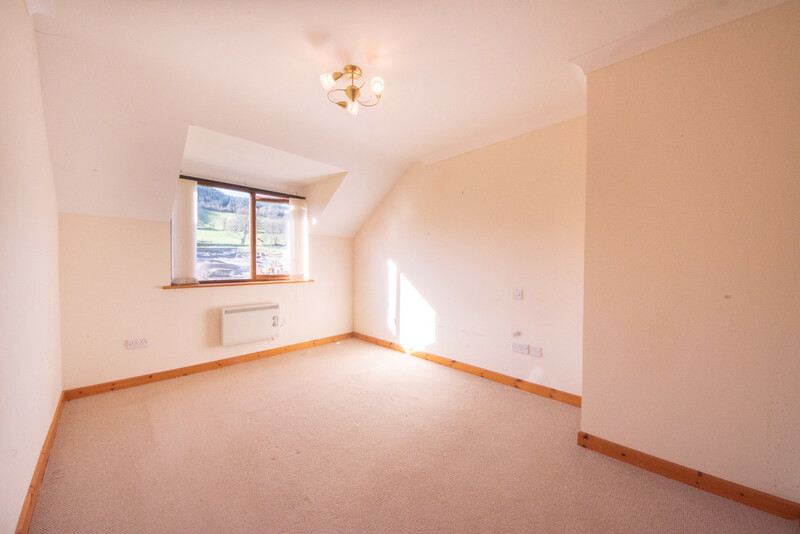 BEDROOM TWO 9′ 10" x 12′ 5" (3.00m x 3.81m) Another fully carpeted room, this large bedroom benefits from built-in wardrobes and has views overlooking the front of the property. BEDROOM THREE 10′ 5" x 8′ 2" (3.19m x 2.50m) A good sized room, this is the smallest of the three bedrooms but would still happily fit a double bed. 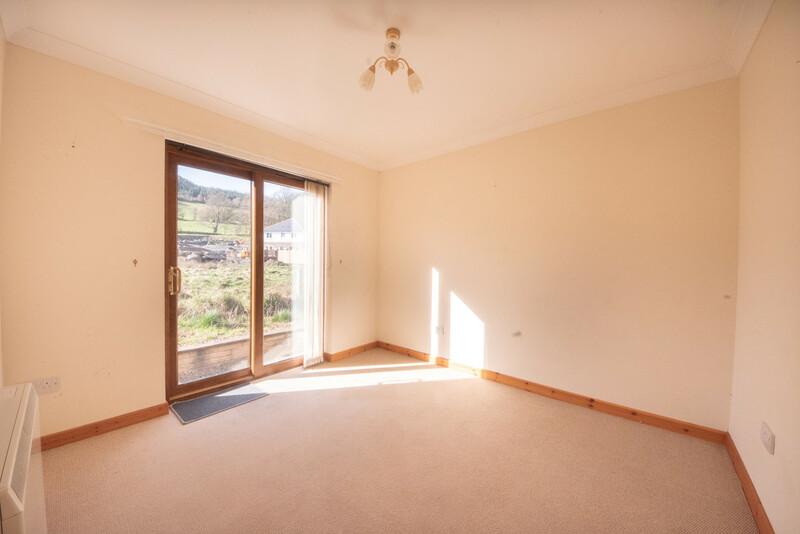 Currently decorated as a child’s room, this room benefits from built-in wardrobes, and has rural views from the rear of the house. EN-SUITE 4′ 11" x 7′ 10" (1.51m x 2.40m) Fully tiled, storage has been well-considered in this en-suite bathroom, as the basin hand wash wink is integrated into base level wood finish units, which provide plenty of storage. 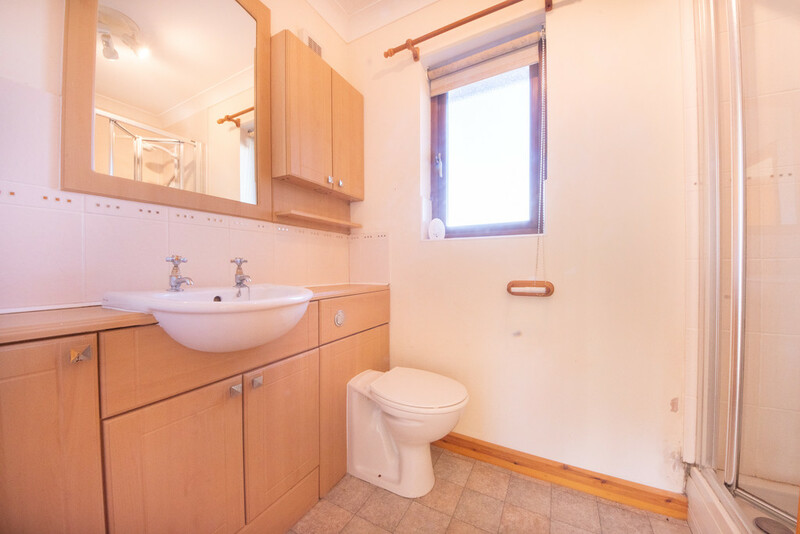 The en-suite suite also comprises a low-flush white WC and shower. 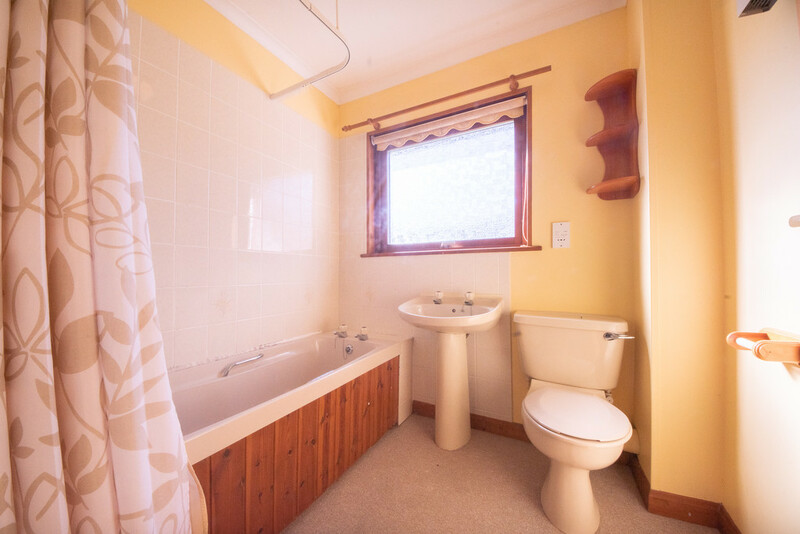 FAMILY BATHROOM 6′ 1" x 7′ 1" (1.87m x 2.18m) Fully carpeted, the family bathroom comprises a white low-flush WC, pedestal wash hand basin, and a uPVC paneled bath, fitted with a shower over. All water sensitive areas in the bathroom have been tiled and a frosted window over looking the rear of the house lets in light whilst maintaining privacy. OUTSIDE OF PROPERTY The front of the property features a gravelled area, which could be lawned. 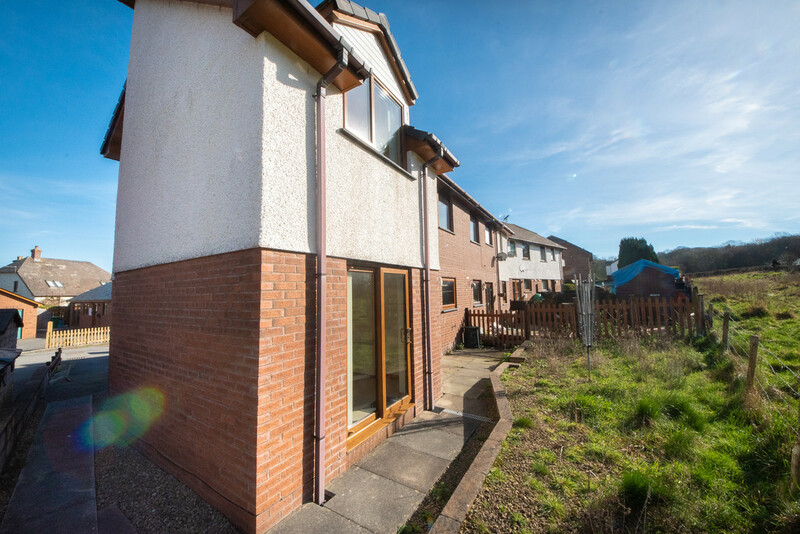 There is also a Tarmacadam driveway, providing parking for at least two cars, though along the street there is abundance of parking for additional cars. OUTSIDE REAR OF PROPERTY The rear of the property features a petite but charming garden, with space into which flower beds could be laid.